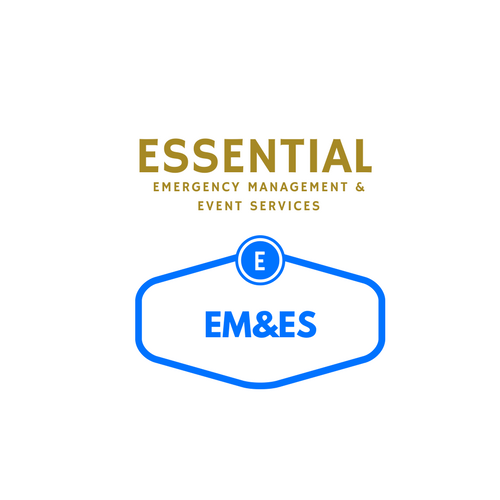 Essential EM&ES cares about your fire safety in the home. As your home is your castle let us help you keep your family, loved ones, and property safer from the disastrous effects of fire. 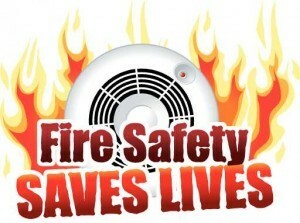 It is “Essential” that you look at our Fire Safety Audit and contact us to assist keeping safe. I have working smoke alarms fitted in my home! "at least one is required by law"
I test my smoke alarms weekly! I regularly clean dust from my smoke alarm! I replace the battery in my smoke alarm every year! Yes No My smoke alarm is hardwired and I change the backup battery as required! I live in a Public Housing property and the Office of Housing maintains it! I have a Home Fire Escape plan! Can I plan 2 safe exits for each room? I know to close the doors behind me when leaving to prevent fire spreading! I have an evacuation plan should it be required at night! I have a general purpose fire extinguisher to protect my home and family. Yes, it is a suitable size and meets the Australian standards. No, but I will purchase one and learn how to use it properly. I have a fire blanket easily accessible in my kitchen to smother flames in case of a fire and have practised how to use it correctly. Having a working smoke alarm and a Home Fire Escape Plan are essential for home fire safety. Those who lack them are at high risk. It is recommended that a Home Fire Escape Plan be practiced twice a year. Do you have A Fire Escape Plan that is practised regularly with all members of the household? My house number can be seen easily from the street so emergency vehicles can find me. Windows and doors open easily from the inside ready for quick escape if necessary. When indoors I keep keys inserted in dead bolted windows and doors ready for a quick escape if necessary! The people in my home know that the emergency telephone number is "000" (Triple Zero). Yes and I know my nearest cross street.. No, we will include it in our home fire safety plan and practice it with our children. I have clear exit paths from any point in my home. Yes, all pathways are clear. No, I will ensure the pathways are clear to exit! Yes, we believe the letterbox is ideal and where we will meet the emergency services. No, we will include it in our plan and practice it regularly. My family understands the safety procedure of Stop, Drop and Roll if our clothing were on fire. Yes, we have practiced this in our plan. No, we will educate all household members, especially the children. It is recommended that emergency numbers, including 000 are displayed near the phone & that children in the household have been taught to phone 000 in case of an emergency. Cords and connections on my appliances are maintained and in good condition. I ensure that power points are not overloaded with multi-plug adapters i.e. Power boards piggy-backed onto power boards. I clean the filter on my dryer after each use! I store my electric blanket loosely & carefully so as not to break the elements by folding or bending and I check the condition of it each season prior to using. I ensure all appliances are turned off at the power point when not in use! I prevent my electric blanket from overheating by removing heavy items from the bed before switching the blanket on and by switching it off before lying-down for bed. I protect electrical cords and prevent them from overheating by ensuring that they are not placed under rugs or through doorways. I have had my central heating system and ducts cleaned and maintained. Yes, I have my ducts cleaned of dust and lint regularly by a heating technician. Yes my heater unit is serviced regularly. No, I need to have them serviced. If I have an open fireplace I use a safety screen on my to protect from sparks. Smokers in my household ensure cigarettes and matches are safely disposed of. If I smoke, I do not smoke in bed or when I am drowsy. I keep matches and lighters out of sight and reach of children? I store flammable liquids like paint, fuels and solvents in proper containers away from heat or open flame. Yes No, but will now! I am aware that I can buy ”low fire danger” clothing for children. Yes No I wasn't aware of that! I am careful to extinguish candles and incense before I leave my home or go tobed. I have a fire blanket easily accessible in my kitchen to smother flames in the case of fire and I know how to use it! Yes No, however i will purchase one and read the instructions! Yes, we consider the safety of our children in the kitchen. No, needs attention. I ensure the exhaust extraction fan above my stove is cleaned regularly and is free from a build-up of grease and fat that could ignite with naked flames from the stove. I have a dry chemical fire extinguisher easily accessible in case of fire. TIP's If the arrow on your extinguisher is pointing to the words “recharge” or“overcharged” you need to have your extinguisher serviced by your nearest FireProtection Equipment Consultant. It is recommended that you have a dry chemical extinguisher in your garage / shed. I make sure that, curtains cloths and towels are clear of cooking areas in my kitchen! Yes No yet, but they will be! While cooking, I never leave my stove unattended (Especially when cooking with oils). Correct No, but will do so now! I am aware that appropriate clothing should be worn while cooking and I am careful to avoid loose fitting sleeves near flame. I ensure that cooking surfaces are clean from fat or grease build-up that can start fires. I am aware of flammable material and furniture that is placed against the exterior walls and verandas of my home that could be used in an arson attack. Yes, this is considered, couches and chairs on a veranda can easily catch fire! No, I will attend to it. Yes I do this annually No I will undertake my pre-summer audit. I have a fire plug located outside my home and I have adopted it to ensure it is clear of vegetation, easily identifiable and accessible by the fire service when required. Yes and I will notify the municipality or water authority of any problem. No, I will look at adopting a "fire plug"
I am protective of my neighbourhood and report suspicious people or behaviour. At the start of each summer I, check that the fittings between the Gas cylinder and the Bar-B-Q are sealing correctly and are in good working order. TIP– You can check if fittings are sealed by brushing soapy water around the fitting and turning on the gas for a short period. If you see bubbles there is a leak in your fittings and you will need to have them replaced. I minimise yard clutter & stack combustibles (i.e. fire wood) a fair distance from the house so that these items can not become targets for arson and fuel a fire. In my garage / shed, I stack/store combustible items (i.e. wood, chemicals, paints, solvents) neatly and separate them as much as possible or practical. I ensure the area around where I am welding or grinding is clear of fules/chemical and combustable materials (paper or materials) and I take measures to prevent sparks from escaping outside of the shed or into shed wall spaces. Look back at boxes you were unable to tick. Introduce some of the helpful tips in your home and you can easily improve your safety. This Checklist is intended as a helpful guide to the homeowner. The homeowner is ultimately responsible for considering and actioning measured to increase the fire safety of their home. If you would like to receive a copy of your completed audit, please enter your email address below and you will receive one immediately after clicking on the submit button.